Kashmir is one of the provinces of the northern most state of India, the other two being Jammu and Ladakh. Kashmir is the central most region, largely formed of low lying plains surrounded by some amazing mountains. The valleys astounding beauty have long been attracting tourists and in large numbers. Mountains, hills, lakes and gardens constitute the beauty and elegance about it. With many of the favorite tourist hot spots untouched and un sophisticated Kashmir promises an exciting and adventurous vacations. The winter sports, far and wide popular in the valley, include Skiing, Heli Skiing, Ice Skating and Snow Boarding. Gulmarg is one of the best ski resorts of Himalayas. The slopes here are of international standards and due to this reason alone skiers from all over the world flock in the winters. Much to the surprise the first National Winter Games were held at Gulmarg, in the year 1998. Khilanmarg, one more skiing resort in the valley, complements the popular one. The ski resort at Gulmarg was established back in 1927 by two army officers and since then things have been coming to surface. The resort is one of the highest lift served ski resort in India. The approximate 2.5 kms slope run with soft powdery surface fuels up the acceleration and the excitement. Now we mean business when we say that Kashmir is the only place that offers the extreme sport heli skiing in India. In fact it is the second destination in the world, after Canada that gives you this unique experience. Heli skiing gives you an opportunity to be lifted by a chopper/helicopter and dropped on an inaccessible summit. All that follows is the thrill of sliding down the slope. It is one extreme sport and requires a great skill and experience. 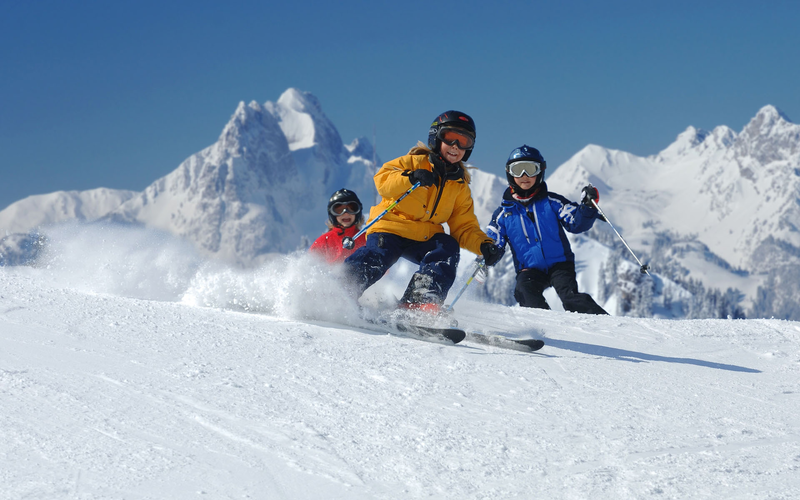 Snowboarding, like skiing can be best enjoyed at Gulmarg and Khilan Marg. The slopes are excellent, weather is fine and facilities are available. The tourists however need to bring their snow boards with them. There are good reason for the tourists and sports lovers to come to Kashmir. First and foremost the slopes and summits are the best in the country and among the best in the world. Second that inevitably secures the choice is the expenditure. In Europe and North America one has to spend handsome and hefty amounts for going for such activities. At Kashmir they get it all at an affordable and much cheaper price compared to places already mentioned. Kashmir Valley offers verdant golf courses at Srinagar and Gulmarg, where one can play golf all through the summer, stretching from April to November. Bordered by trees of Chinar and Pine, one may play for longer hours here than in the plains because of the lower temperatures and invigorating climate. Stretching across an expense of 300 acres near the famous Cheshma Shahi at Srinagar, The Royal Springs Golf Course was designed and laid out by the World-renowned Golf architect, Robert Trent Jones Jr. II, who has been known to design about 500 courses all over the World, including the cities of Bangkok and China. Overlooking the famous Dal Lake, it is set in a natural environment created against the dramatic backdrop of Zabarvan hills. Course at a par of 72 offer a challenge to all levels of players. The fairways are turfed with cool weather grass of different Shades. The trees bordering it are Rye, Kentucky blue and tall frescoes that lend a touch of color throughout the golfing season. River rafting in Kashmir is emerging as a popular sport. River Lidder in Pahalgam has stretches available for white water rafting and is excellent place for adventure white water rafting. Equipment for rafting and canoeing is easily available.